Books are our passion here at esKape Press. We live and breathe them. More importantly, we love the authors who bring them to us. And what better way to show our appreciation, not only to authors but to readers as well, than with a publishing house that caters to both? Lucy Ashbrook finds a pleasant diversion when she visits the Regent's Park Bird Sanctuary to sketch the different birds that live there. Birds aren't the only pleasing thing she finds, though. A certain Sanctuary worker, Oliver Barrow, has stolen her heart. But Lucy's father will have none of it. No daughter of his will marry a common laborer. Oliver Barrow loves everything about his work at the Sanctuary. The birds, the trees, the ponds...a certain young miss who mesmerizes him. Miss Ashbrook is beautiful and sweet and shares his love of birds. But Oliver has a secret that just might get in the way of anything more than friendship developing between them. And he can't share that secret with her. Not yet. How can Lucy convince her father of Oliver's worth? That love isn't just for the birds? Augustus Sinclair has a broken heart. His betrothed has dropped him for his best friend. Former best friend. When he meets Anne Balfour, though, he questions whether he’d ever really been in love with his fiancé. Some of Anne’s reactions to what he considers everyday activities are puzzling, but that doesn’t stop him from falling head over heels for the first time in his life. Anne Balfour is amazed to be a guest at the Shrewsbury’s, one of Mayfair’s most well-to-do families — even if the circumstances are less than ideal. Still, she can’t help but get caught up in the excitement of society life. Especially when in the company of Augustus Sinclair. 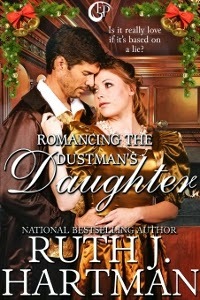 He makes her believe in love and romance, even if she is just the dustman’s daughter. 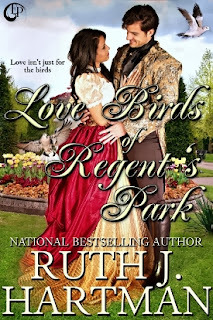 Ruth J. Hartman spends her days herding cats and her nights spinning sweet romantic tales that make you smile, giggle, or laugh out loud. She, her husband, and their three cats love to spend time curled up in their recliners watching old Cary Grant movies. Well, the cats, Maxwell, Roxy, and Remmie, sit in the people's recliners. Not that the cats couldn't get their own furniture. They just choose to shed on someone else's. You know how selfish those little furry creatures can be.